YOUR home away from home. 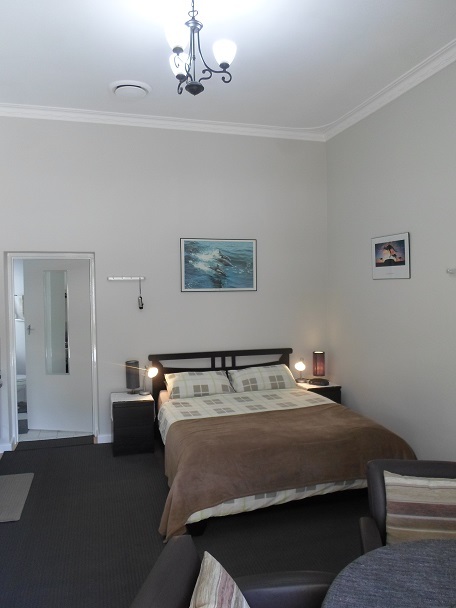 Central and quiet Fremantle WA Accommodation . Relax in comfortable surroundings. 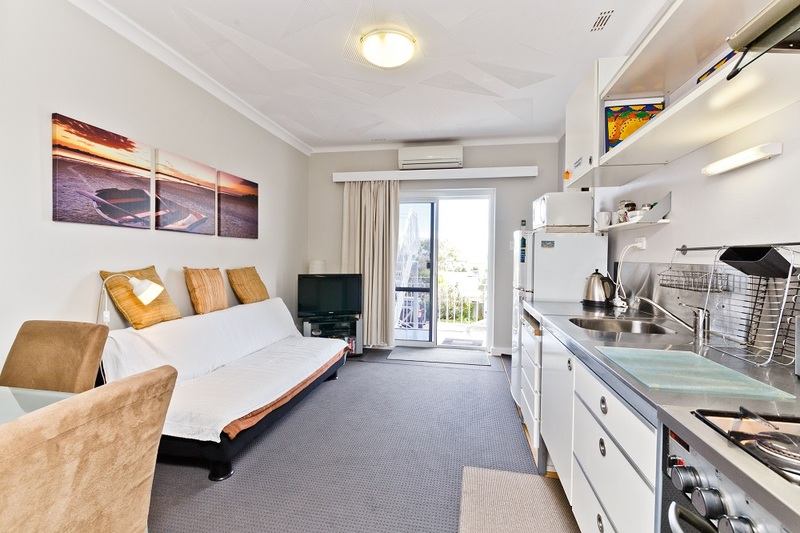 The FREMANTLE 3 STIRLING ST. APARTMENTS Apartments No 1 to 4 are self contained with private entrance and ensuite,full cooking facility, fully furnished/equipped, airconditioned and have an outdoor sitting area. 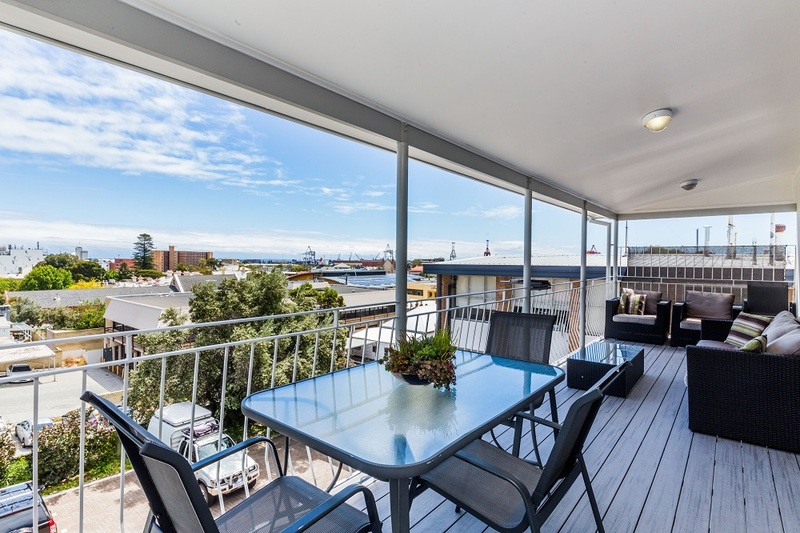 Apartment 5 Penthouse is a fully self contained one bedroom apartment with 180 degree views of Fremantle.The property has a private entrance, large decking area complete with an outdoor table setting and lounge suite so you can enjoy the fabulous views this property offers. Inside there is a modern kitchen with full cooking facilities, lounge area equipped with flat screen TV, DVD player, large couch and reverse cycle air conditioning. 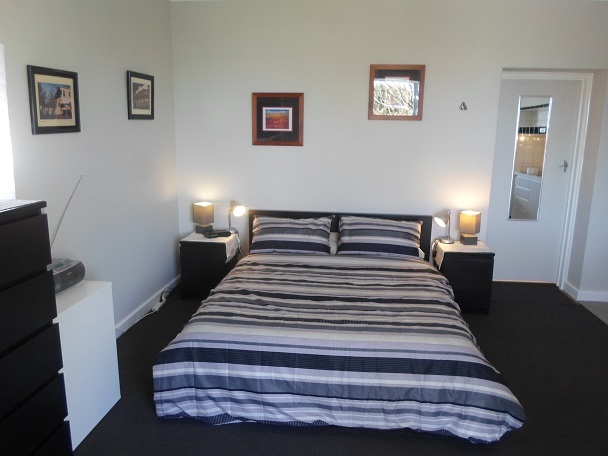 The bedroom is separate from the main living area and has queen size bed. The modern bathroom has a full size bath tub with shower over the top, double vanity and WC. Please note:There are 3 flights of outdoor stairs to access the apartment, however once up there the views will more than compensate for it. 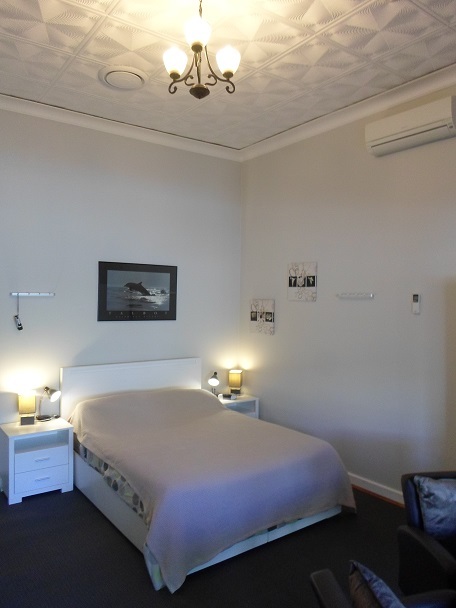 There is a seperate bedroom with queen size bed, 2x bedside tables, set of drawers and cupboard.